Both the ceiling and the crowd were low at the scheduled start time for this years Waukegan Regional Airport Airshow. But, by the end of the day, both were not too bad. As the weather improved, the crowd continued to grow and, while there were certainly not as many people there as in previous years, the turn out was still very good. 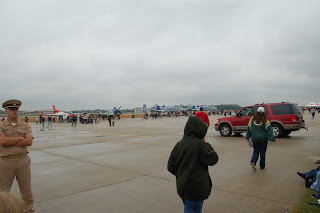 Rain and low IFR conditions prior to show time kept a few of the scheduled aircraft away. Still, most of them made it and flew for the dedicated fans who did come out to the field. 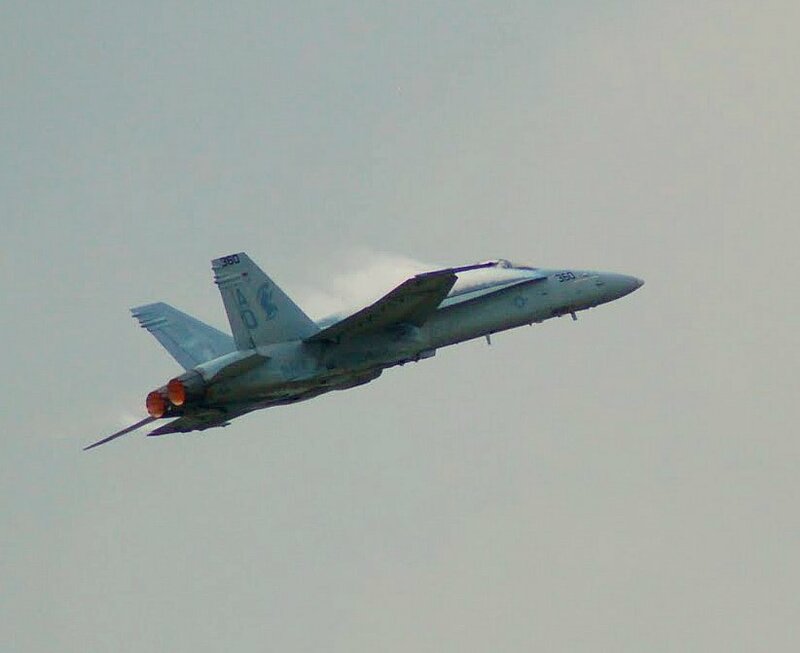 Everything considered, this turned out to be another successful air show. The start time ended up being pushed back from 12:30 AM to almost 2 PM but then the sound of radial and jet engines let us know that the show would go on as Dave Dacy kicked things off in his Super Stearman followed by the Hoppers L-39 jet demonstration team. The ceiling was still down around 1000 feet but that was enough to allow the acts to do their low routines which gave the show a more intimate and close to the crowd feel. 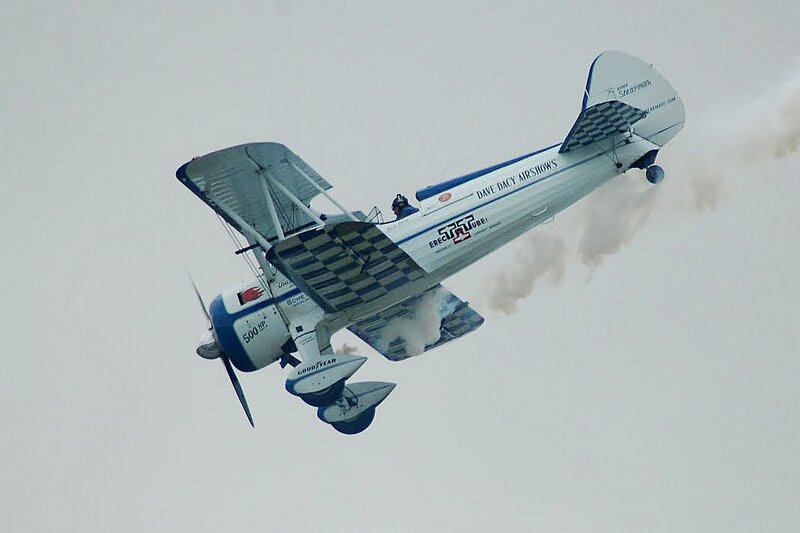 The other flying acts included Michael Vaknin in the Extra 300, The Aerostars team flying the Yak 52 TW, The Trojan Horseman six ship T-28 formation team, and a return to the sky of Dave Dacy – this time with Tony Kazian doing his wing walking act. Paul Stender brought his jet powered school bus to provide some ground action. More pictures are online here. The last hour of the show was dubbed the “Hour of Power” and featured warbirds from WWII to the present. 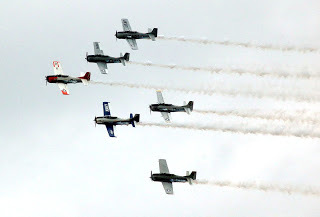 The aircraft included an F-86 Sabre and a T-2B Buckeye from the Warbirds Heritage Foundation, Vlado Lenoch in the P51D Mustang, the A-10 Thunderbolt II (affectionately dubbed the Warthog) from the U.S. Air Force A-10 East Demonstration Team and the Navy F/A-18 Hornet presented by Strike Fighter Squadron 106. As the F/A-18 closed out the show, the clouds finally parted and the day ended with predominately blue skies. Previous Post The Detention of John and Martha King Next Post Microsoft is Coming Back!